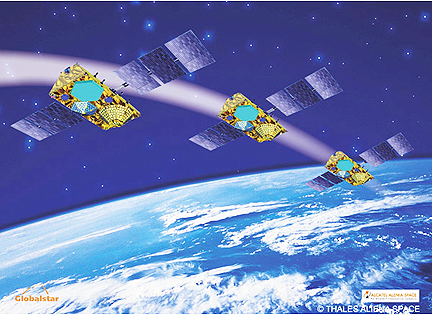 SatNews — Globalstar, Inc. (Nasdaq:GSAT) has announced the opening of a 90-day launch window for the inaugural lift-off of six Globalstar 2G satellites. This marks the first in a series of launches Globalstar is planning to upgrade its low-earth-orbit (LEO) satellite constellation. Four launches of six satellites per launch are planned, with the first expected in the September or early October timeframe. The satellites will be launched from the Baikonur Cosmodrome in Kazakhstan using the highly reliable Soyuz launch vehicle, the same vehicle used to successfully launch Globalstar satellites on eight previous occasions. The new satellites are designed to be fully compatible with Globalstar's current suite of 1G mobile satellite products and services. Once the new satellites are in operational orbit, the most immediate impact will be on those Globalstar customers who use the company's current voice and duplex data services. With each of the four launches, these customers can expect progressive improvement in reliability and overall service quality. The advanced 2G constellation, which secures Globalstar's space segment beyond the year 2025, will be the world's newest commercial satellite network. Once fully deployed, the new Globalstar constellation and nexgen ground network are expected to provide customers with increased data speeds of up to 256 Kbps in a flexible Internet protocol Multimedia Subsystem (IMS) configuration. Products and services supported are expected to include: push-to-talk and multicasting, advanced messaging capabilities such as multimedia messaging or MMS, mobile video, geo-location services, multi-band and multi-mode handsets, and data devices with GPS integration.